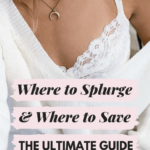 And for under $50, too! 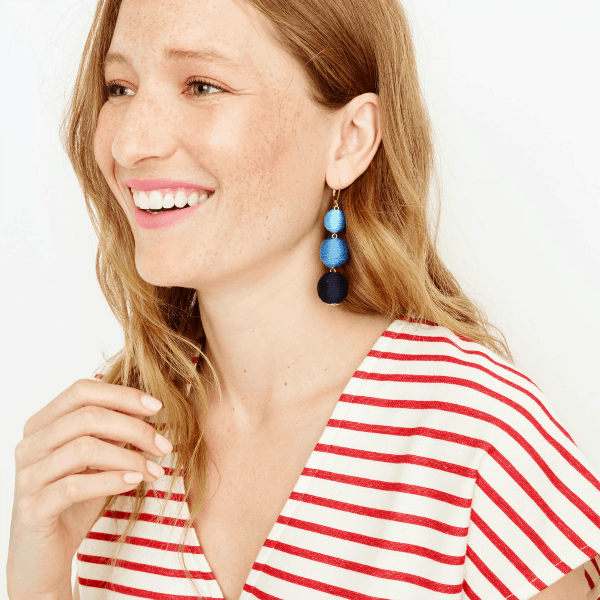 Featuring blue hues, these earrings remind us of ocean waves and summer skies. 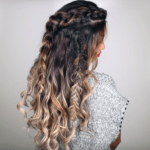 Try styling them with denim shorts or a chambray dress for a chic, tone-on-tone look. 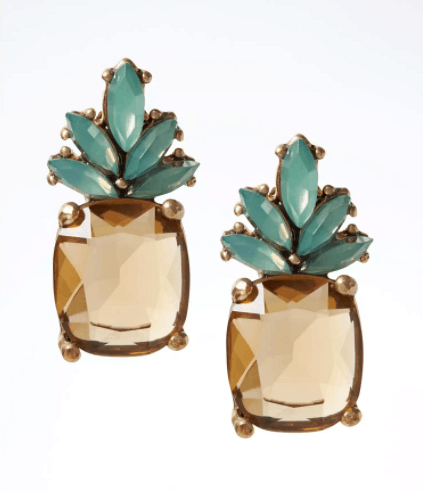 Get in on the fruit-inspired fashion trend with these bejeweled studs. We’d totally wear them poolside while sipping a piña colada and dreaming of tropical vacays. A little contrast can be a very cool thing, like this blend of shiny metal and colorful seed beads. 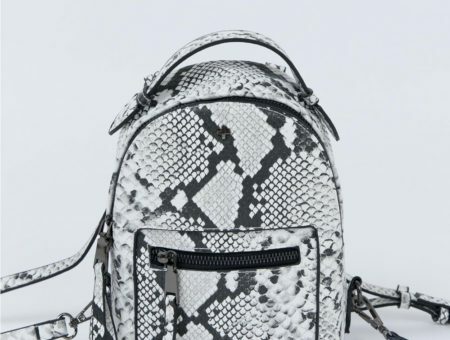 Style these drops with a printed sundress and sneakers for an adorable summer outfit. The sharp lines on these earrings offer a sleek, contemporary take on your typical studs. 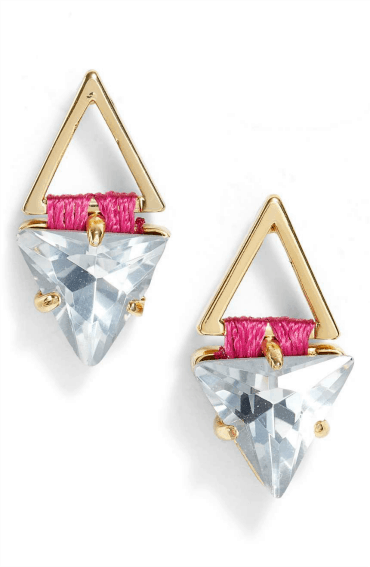 Factor in that hint of fuchsia, and you’ve found a fab pair of earrings for this season and beyond. 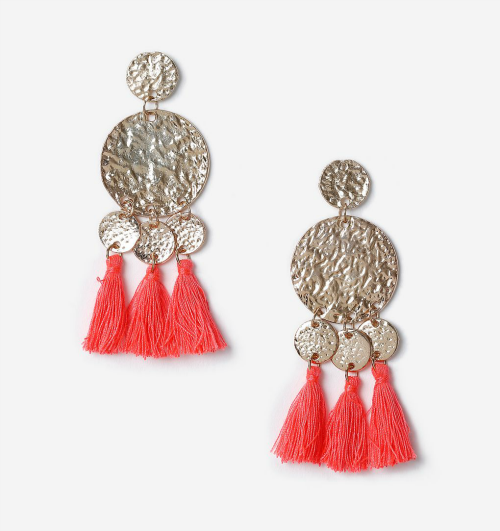 Boho-cool and festival-ready, these earrings combine texture, color and shine to create a bold, attention-grabbing accessory. 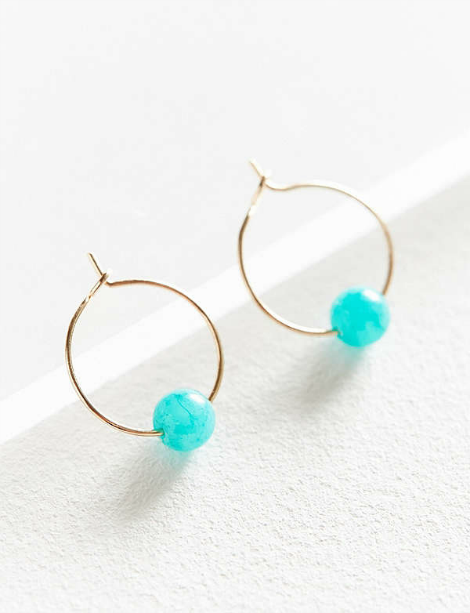 If you’re a minimalist at heart, these hoops are for you. Vibrant turquoise-colored beads provide the perfect pop of color. 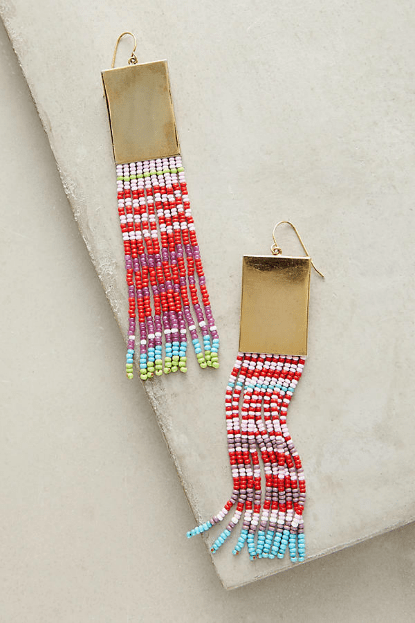 Summer weather calls for sunny yellow accessories, like these fringe earrings. And that price?! Can’t be beat. 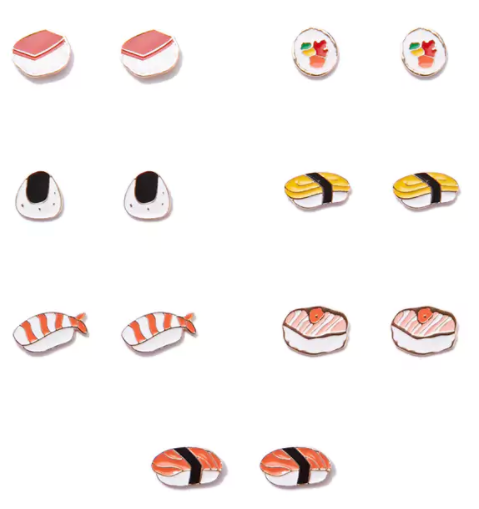 This set is for all my fellow foodies out there. Mix and match these earring pairs, and know that everyone will want to take a closer look at your lobes. 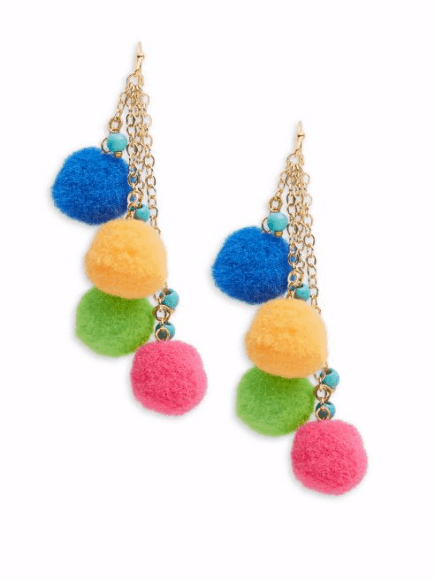 These fun and flouncy earrings are definite statement makers. We say pair ’em with neutrals to truly make them the centerpiece of your summer ensemble. Spice things up with this bold mix of (faux) gems. Eclectic and oh-so-cool, they’ll be your go-to pair for a night out… and daytime, too. 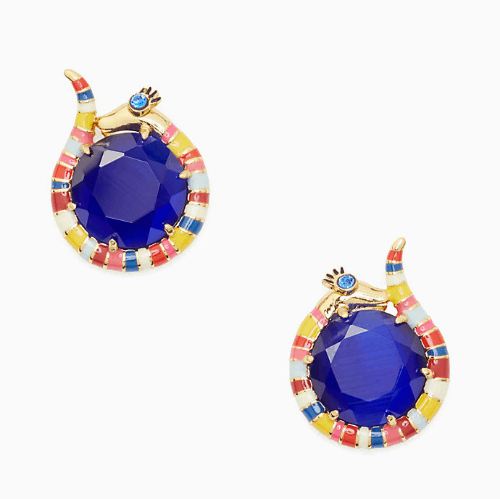 Slither into chic with these whimsical Kate Spade studs. 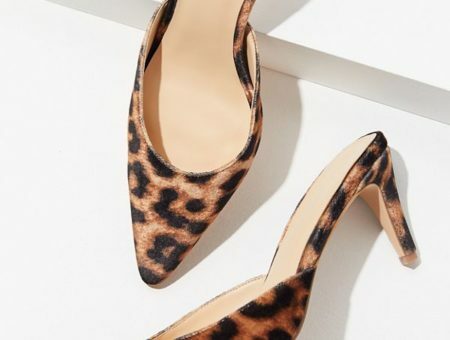 They’re just the thing to accent an off-the-shoulder blouse and sandal combo. 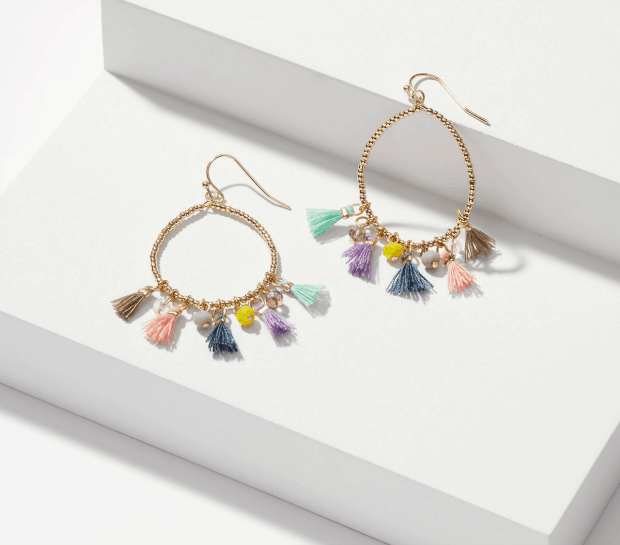 As you might have guessed, tassels and pom poms are major trends this season, and these drop hoops combine the two for a pastel-hued, fashion-forward look. Which earrings are your favorite? 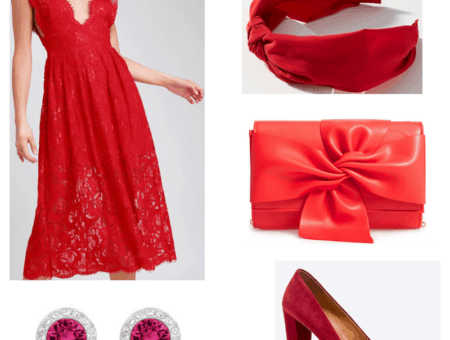 Are you into bold earrings, or do you prefer a more subtle look? Would you like to see more posts like this? Let us know your thoughts by dropping a comment below. 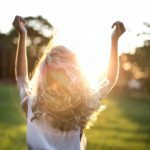 Next Giveaway: Win $100 to Shop at Highway Jeans!